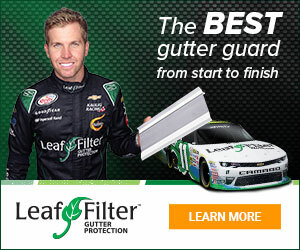 Sep 08, 2016 Hi There- LeafFilter is backed by a 100% money back no-clog warranty. If you are still having issues with your system, please contact our service and support team at 800-749-4566 so that a service technician can come out to your home again and ensure that the product is performing at its optimal level. The stainless steel mesh is great, however the mircoscreen clogs. Imagine, their pitch is the mesh is so small not even a grain of sand gets through. I believe that as much as I believe the microscreen clogs. Once it does, the water runs off the gutter like there is not one present. It's like a waterfall. Leaf Filter, after 2 years, came out and changed all the screens because "we have never really seen anything like this before." LOLOLOLOLOL... Sorry, I am trying to be professional about my discontent with Leaf Filter. Bottom line is that you have to make sure your microscreen has to stay clean and that means YOU have to get on the roof and do it. Review #511904 is a subjective opinion of Upset6666.